GR11. 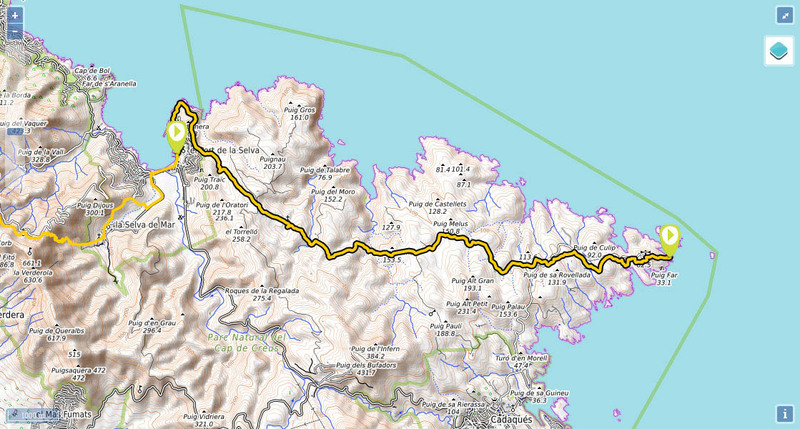 Stage 46: Port de la Selva - Cap de Creus. Time: 3h50min (walking time without stops). 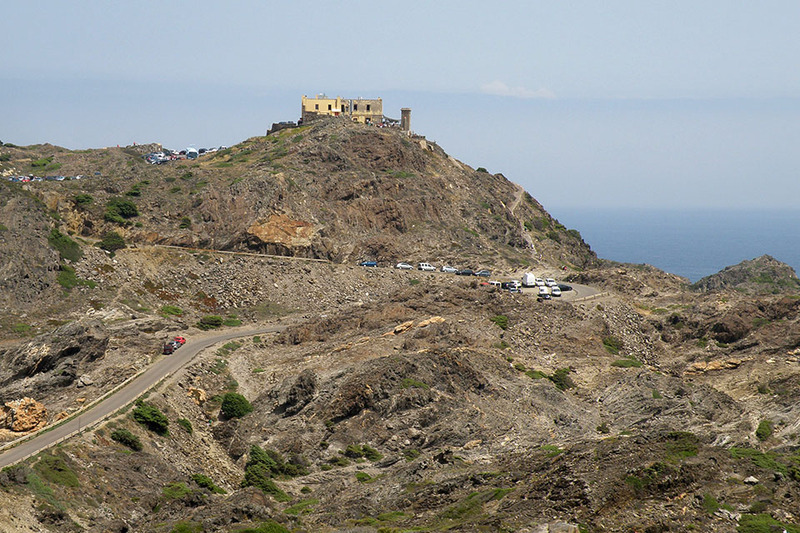 Water: the only place where you can get water is from the lighthouse bar in Creus. 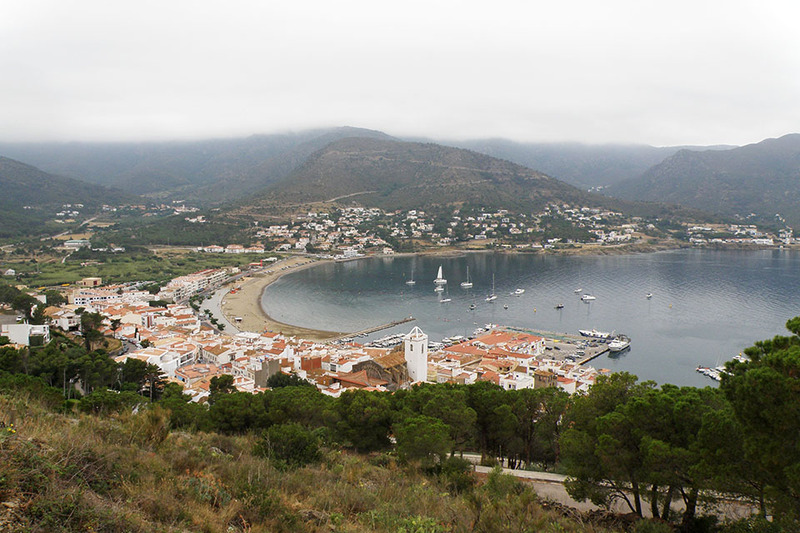 (0h00min; 0 kms) Port de la Selva (6m). 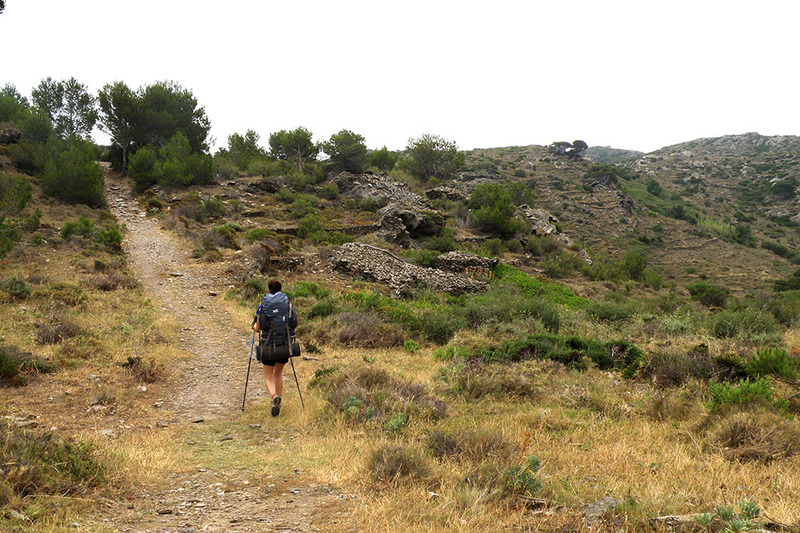 The GR11 follows the coast towards La Punta de la Creu. You pass a marina, the nautical club and a series of coves, and when you are about to reach the Point, you turn south-east towards an area of villas. At the junction, you take the street that leads uphill on the right (Calle del Puig Gros). Soon after the end of the uphill stretch, you follow a track on the left that heads gently up to a col (4kms/190m) where you come to another track on the left. Shortly afterwards you cross a cattle grid and leave the track for the second path on the left (well waymarked). 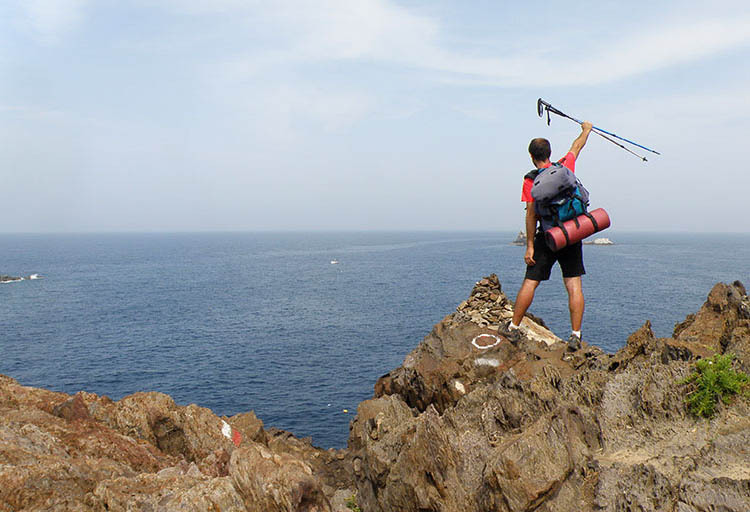 (2h50min; 11,9 kms) Road to the Cap de Creus lighthouse (110m). 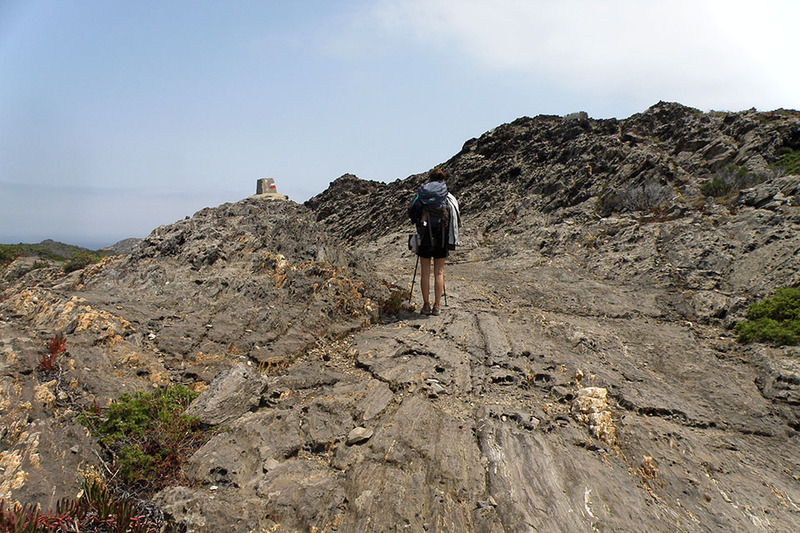 Cross the road and continue by path over rocky terrain, with constant rises and falls. Not long before reaching the lighthouse, half a kilometre in a straight line, the path comes out at the road on a hairpin bend, just before a long straight section, where the land narrows towards the last patch of terra firma. Follow a path that drops down to the right and almost touches Cala Jugadora, then climb back up to the road at another hairpin bend, where a path takes you directly to the lighthouse. 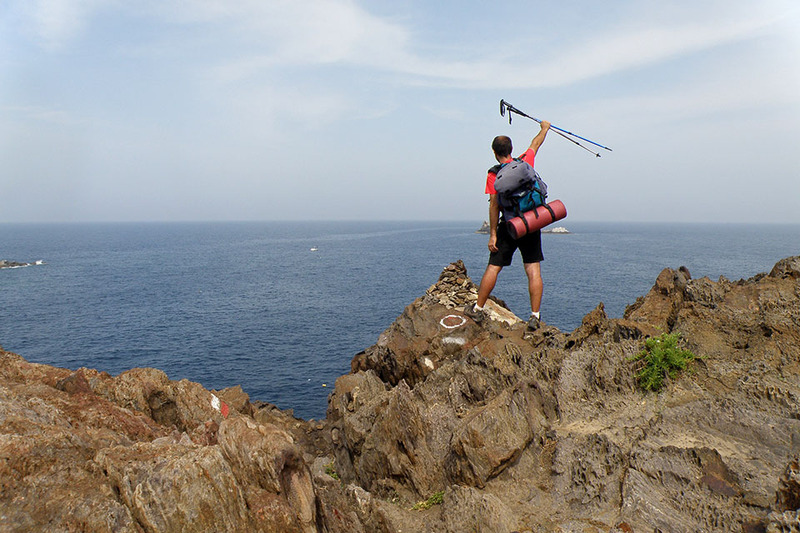 (3h35min; 14,8 kms) Faro del Cap de Creus (80m). You are almost there. As you head towards the point, at the beginning there are no markings, but they soon appear. Almost at the end, the narrow landscape above the cliff seems unwilling to give in. It is too late now to turn back. Just a few steps to go and you have made it. Congratulations! 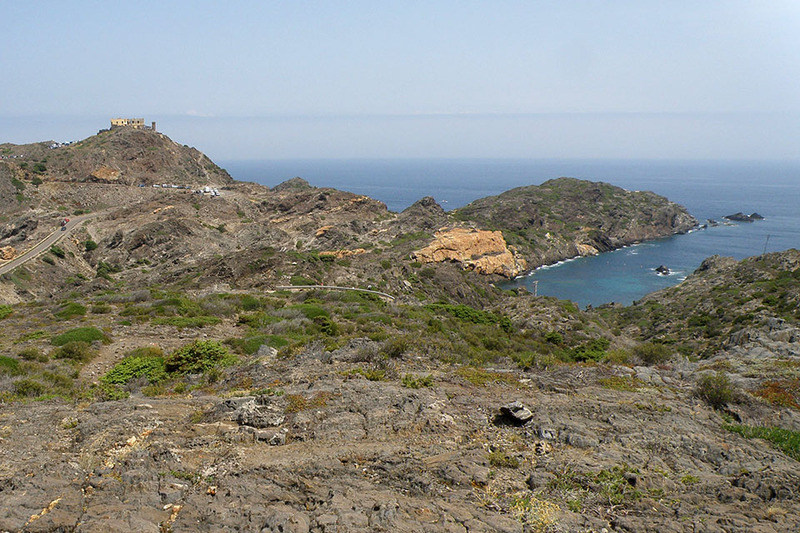 - Alpina: Cap de Creus (Scale: 1/25.000). 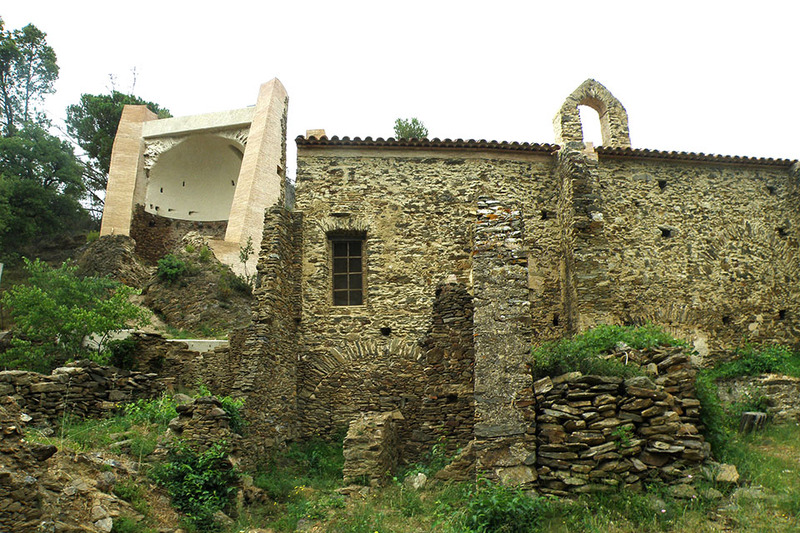 At the beginning of the stage, in Port de la Selva, there is a wide range of accommodation catering for all budgets. Among the most economical: Hostal German , Hotel Agora or Cal Mariner. 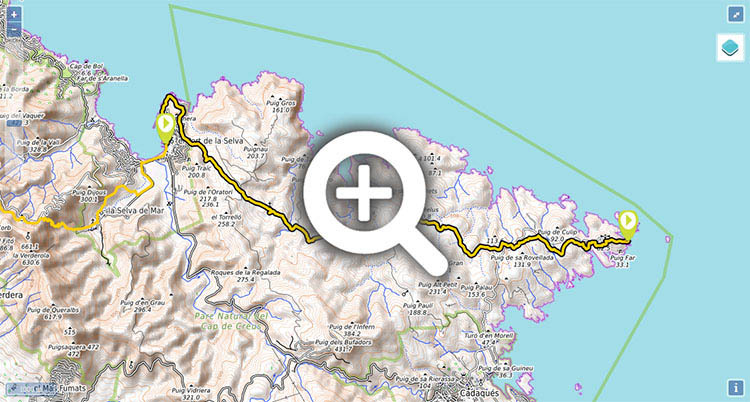 On completing the stage, you will need to think about finding a nearby town to spend the night (Cadaqués, Figueras or Port de la Selva). In Cadaqués, close to the centre, and among the most economical: Hostal Cristina , Hostal Marina Cadaqués or Hotel Ubaldo. 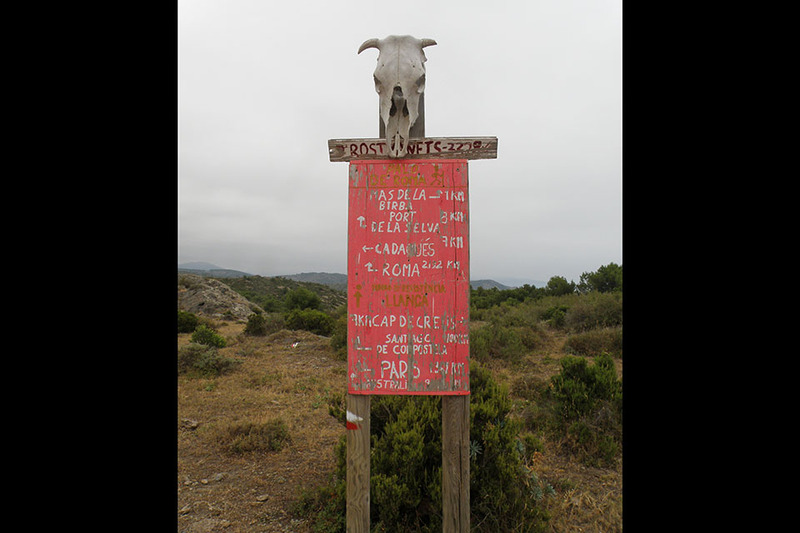 In Cap de Creus there is a bar/restaurant. In Cadaqués there are supermarkets, bars, etc.